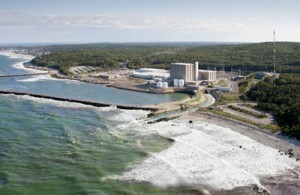 PLYMOUTH – The Nuclear Regulatory Commission’s First Quarter Inspection of the Pilgrim Nuclear Power Station found no violations or findings. This marks the second straight quarter for the Plymouth facility without any documented violations. Entergy Spokesman Patrick O’Brien says personnel at the plant are working hard to improve performance. “I think this report, coupled with the 4th quarter report in 2017, shows that we are making some progress,” O’Brien said. In 2015, the station was placed in Column 4 of the NRC’s action matrix, one step away from a federally mandated shutdown, in the wake of a series of safety violations and unplanned shutdowns of the reactor. The federal agency has been conducting additional inspections at the station ever since. O’Brien said Pilgrim still has a long way to go. O’Brien said Pilgrim hopes to be back under Column 1 before Entergy, the plant’s owner, closes the facility in May 2019. NRC spokesman Neil Sheehan said in a statement that the agency will continue to keep a close watch on Pilgrim’s safety performance through reviews by resident inspectors at the plant and by specialist inspectors performing more targeted reviews of security and reactor safety systems areas. The NRC will release the reports from those upcoming inspections in the future. “We expect Entergy to be vigilant when it comes to maintaining safety margins for the remainder of its operations life,” Sheehan said. O’Brien contributes the recent positive reports to a mixture of changed safety culture and increased oversight at the plant. In 2017, there were 33 safety violations at the plant, all considered “green,” or of very low safety significance. The safety significance scale begins with green, on the low end, before moving to white, yellow and red. At a public meeting in March, the NRC officials discussed the 2017 performance of the plant. They said the plant operated safely last year but did not improve its standing as one of the three worst performing reactors in the country. The plant has been taken offline multiple times in the early part of 2018. In March, crews discovered a leak in the feedwater heating system and took the station offline to fix the problem. After staying off the grid during two winter storms, operators had to delay the restart of the station due to faulty a start-up transformer. The outage lasted 43 days. In late April, plant operators powered down the reactor after an issue was detected with two feedwater regulation valves. The plant was operating at 50 percent power Tuesday for a scheduled thermal backwash. The maintenance is routinely scheduled five or six times per year to improve condenser performance.